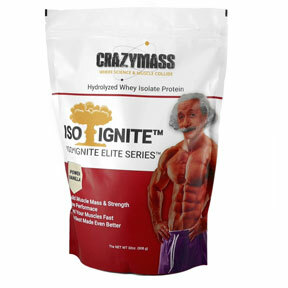 ISO*IGNITE Elite SeriesTM – Gain Mass, Crazy FAST! ISO*IGNITE is our hydrolyzed whey isolate protein powder specifically formulated to ignite the ingredients for all our legal all-natural alternative products. By combining the finest ingredients with highly specialized processing techniques, we created the most effective muscle building protein specifically formulated to deliver the best results when used with CrazyMass legal alternatives..
Our meticulously tested Power Vanilla is very tasty, it mixes well in any fruit smoothie, milk, coffee, or even water. ISO*IGNITE is a foundational product for use with all of our anabolics, whether bulking, cutting or building strength. ISO*IGNITE is loaded with BCAAs (Branch Chained Amino Acids) and provides the nourishment needed to ignite the effects of our anabolics. Plus we’ve added Arginine and Alanine to set a new standard for muscle development. ISO*IGNITE is protein in its purest form, made with hydrolyzed whey proteins that have been isolated to remove the excess lactose, cholesterol, carbohydrates, and fat. 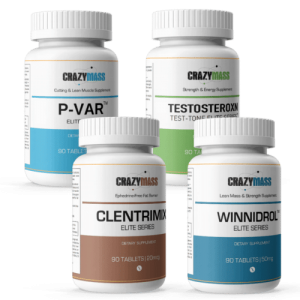 The result is a product that’s ultra-pure, quickly digested, and packed with muscle-building and replenishing amino acids specifically formulated to ignite the results of all of the legal all-natural alternative supplements we offer. Each 2 lb bag contains 29 power scoops of protein powder. Our scoops are 10% larger than the average scoop. If you use 2 servings a day, make sure to order 2 bags to last a full month! ISO*IGNITE Elite Series shake, mixed with water or skim milk, your choice. Add your bulking, cutting or strength stack. Your body needs vitamins and minerals to effectively use protein, carbohydrates, and fat. ISO*IGNITE Elite Series shake mixed with iced coffee, water, or skim milk. At no other time throughout the day are your muscles as receptive to nutrients as they are post-workout. 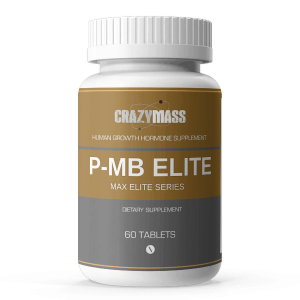 Fast-acting proteins, free-form amino acids, and quickly digested carbohydrates provide building blocks for rebuilding and replenishment. About all I can say is awesome! Mixes great and the vanilla tastes great too! I was skeptical going from a chocolate whey to vanilla, but I was surprised! Great tasting, wish it came in a larger bag. I’ve been taking this amazing protein powder daily for over a year now and have nothing but good things to say…great taste, great energy, great results! I highly recommend it to anyone looking to improve their physical abilities and looks! This is the best Why protein I have ever tried. The taste is great. I feel as though it is giving me 15-20% greater endurance on my cycling. My post recovery has improved. I can lift additional reps after my ride without the normal fatigue. Thanks Crazymass! I have been using this whey for two weeks and so far, my arm muscles have steadily increased to the biggest ever. I use this whey drink with my ninja blender. I ordered three bags of the Iso ignite elite, into my second bag now. I love the vanilla taste, it is perfect ..
I’m an avid cyclist, and have been training myself on a particular road course near my home, I have very precise time tracking and I’ve found that with this and the endurance stack I average 12% faster than without. Can’t wait for chocolate to come out! This is some of the best isolate protein I’ve ever used, I used this twice a day with my Bulking stack and I gained a full 2 inches in my biceps in under a month! Got it on the buy 2 get 1 deal and it’s cheaper than the bargain brand protein locally!